In 1967, the F.S.A.T. issued an attractive 20fr stamp in honor of the launching of the first space rocket from Adelie Land (Scott #29). 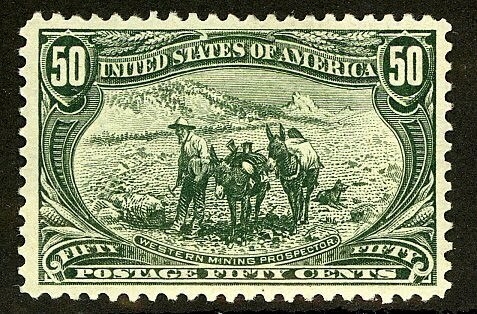 60,000 were issued, and Scott '12 prices the unused stamp at $26.00. 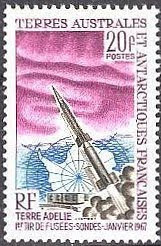 Demand for stamps of the French Antarctic is strong in France and among collectors of French Colonies/Area, and the Rocket stamp has the added appeal of being a Space topical. 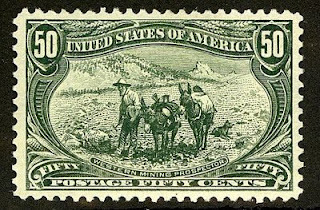 Despite its beauty and topical appeal, it has lagged behind some of the territory's other early issues with comparable printing quantities, some of which sell for 5 to 10 times as much.